My memories of how he looked like, his demeanor, his appearance, have become hazy. It has, after all, been more than 20 years since his passing. But I still remember him so vividly because he’s a big piece of coloured glass that belongs in the mosaic of my memories growing up. He wasn’t instrumental to the formation of my principles, my thoughts and my beliefs as I aged into the adult I am today. But he was there, in the background, with nobody else taking over his place for the role he played in my life in those formative years. That role was as important as it is today to me. He was our Granthi. I grew up in a fairly typical Malaysian household, of mixed parentage. 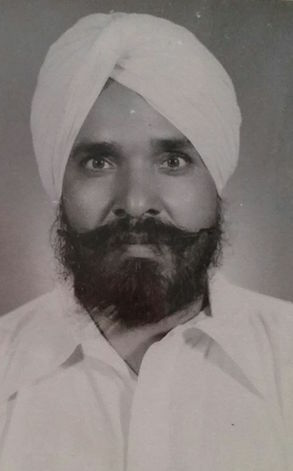 My mother was not of Sikh descendent, yet for the love of her Punjabi husband, she encouraged her children to conjugate at the local gurdwaras in Sungai Petani, Kedah, at almost every Sadhsang gathering. She pushed us both, my sister and I, to be part of the thriving Sikh community, to embrace some of its practices at the superficial level, to be part of who their father was at that time. Central to this community was the Granthi, a local man of God, who stayed within the premises of the gurdwara with his family, also active participants and contributors to this beautiful magnanimous Sikh community, of which their father led as the Granthi. Giani Harbans Singh performed his duties as the leader to our prayers. He performed his duties as the one mandated to verbalise our ardaas to the Guru. He also organised the sewa that revolves around the activities to maintain the kitchen, the langgar and the general wellbeing of the gurdwara. He did this all without fanfare, like it was meant to be this way, without any of the community even bothering to question why and how. It was as natural as it could be, all amalgamated into the things we took for granted, all happening in the background while we went about just turning up and enjoying each other’s company. His sons were trained into disciplined musicians that evoked rapturous singings of the Guru’s shabad from the congregation whenever they both took stage in the Darbar Sahib next to the Guru. My mother never understood a word, nor did I, but we used to sing joyously as they melodiously led the congregation under the watchful eyes of their father, our Granthi. Make no mistake, these boys were as mischievous as boys their age would be, but their infectious personalities became a beacon attracting other boys around their age to come lepak (hang around) in the gurdwara and do what was necessary as instructed by their father. Sweeping the floor, cleaning the large cooking utensils and even washing the lavatory were activities that we partook in, voluntarily without any duress whatsoever. We didn’t even know what we were doing was seva for the gurdwara. We just performed them because the Granthi told us so, because everybody else was doing it and because we would be compensated with a cup of hot ‘cha’ that we savored while talking of nonsense that most teens talk of. Alas, with this tapestry of my teenage years woven with these memories, the scenario today could not be any different. I left my small hometown to further my studies, so did the sons of my Granthi. Our Granthi soon passes away, and typical as it may sound, this too happened in the background without any fanfare. But the saddest part of it all was that I cannot, for the life of me, remember who his replacement was, nor do I remember any of his subsequent successors. Today, as my mother did to me, my wonderful wife does the same with our daughters. We congregate at a small house converted into a gurdwara near where we live. The girls are pushed to be part of the community, to participate and to embrace the Sikh practices as much as possible, however superficial it may be. But the lenses of which my daughters view the Granthi is akin to night compared to day as to how I viewed my Granthi growing up. The Granthis (plural) in our Gurudwara come and go every quarter of a year or so. They are normally from India, their upbringing almost alien to the upbringing of Malaysian children, including their culture, their belief sets, their language and their body language. They mostly come alone, apprehensive mostly of their new surroundings, unsure if the protocols practiced in the gurudwaras that hire them would be the ones they are trained with. These men settle down fast and adapt skillfully to their new surroundings, but that emotional connection with the local community of the gurudwara requires more time and investment. Quite often, their contracts would be terminated prematurely for whatever reasons justified by the committee governing the gurudwara, the budding relationship between them and their new community never really having a chance to establish itself. And so, the role of the Granthi that I was familiar with has steadily reduced itself to being a peripheral of a gurudwara and its community rather than it being the actual Operating System as it was originally intended to be. We can postulate multiple contributing factors that have led us into this reality where the role of a Granthi has now been packaged into a simple straightforward role contracted to do what is instructed by the governing committee of many a gurudwara in Malaysia. Granthis for hire within a contracted duration. It is perhaps a sign of the times, and something irreversible for us and our future generations, where we would have a detached relationship with the Granthis whom perform our rituals and prayers and nothing more. We can, however, accept this reality, accept that it’s so far from ideal and try our best to adapt to it. Not necessarily do we need a concerted campaign with banners that brandish ‘Respect Granthi’ stylishly, but perhaps we can instill some sense of pride amongst our children of the next generation to respect the role of the Granthi. This respect needs to be earned for some, but when we teach our kids that the role is far bigger than the men or women that adorn its uniform, then perhaps more gravity will be afforded. Our children deserve to know that these spiritual leaders of a Sikh community can play a part, big or not, in their social upbringing. 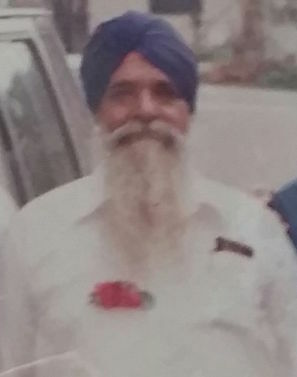 Ah, Bhai Harbans Singh Ji,a very colourful person for all the right reasons.He served Gurduara Sahib SP,from the very times I can recall going to the Gurduara in childhood. He was also seen around local Gurduaras like Kulim and Alor Star or Prai often, during Akhand Paths or specialocassions when invited to pratake in paths and otehr ceromonial gatherings of Sikhs. A marvel of a chap, full of humour and ‘teth’ Punjabi.Without any malice what so ever, he liked his sip or two , I recall very very clearly! A great and good dear friend of my father, Sr Toki Arjan Singh and Chacha Ujager Singh Badhni,,two major figures of the times among the Kulim Sikh Sangat.They were the primary force in the Gurduara building in Kulim from 1920s onwards.